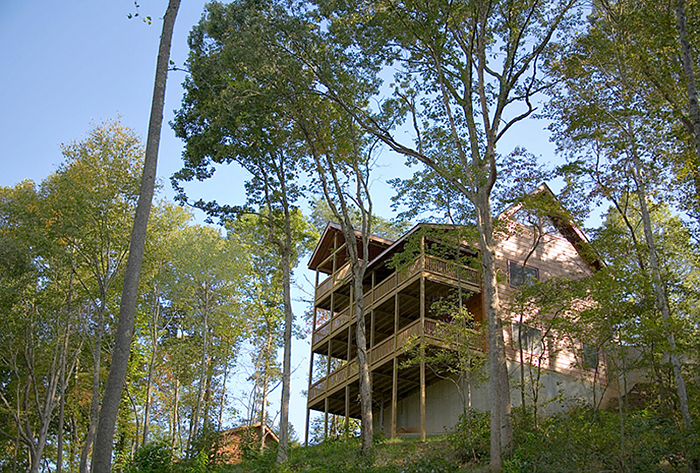 As the Toccoa River uniquely rolls along northward into Tennessee, A Rolling River Cabin, a Blue Ridge luxury cabin rental in close proximity to Fallen Timber Lodge, Riverview Lodge, Outlaw Ridge, and A Mayfly Lodge & Treehouse, is a uniquely beautiful cabin situated slightly above the river with a great view of the Cherokee Indian Fish Trap. 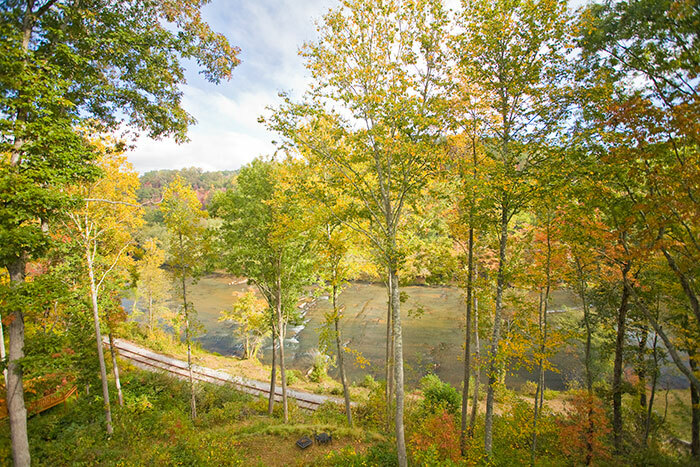 A hiking path down to the river's edge is perfect for outdoor exploration and river activities - trout fishing, canoeing, tubing, or kayaking. 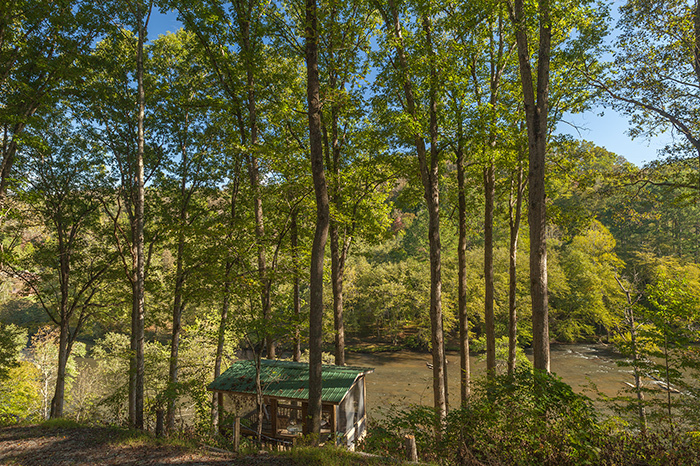 From your Georgia riverfront cabin, you can listen to the whitewater rapids below and breathe the fresh, clean mountain air right off your spacious covered porches. 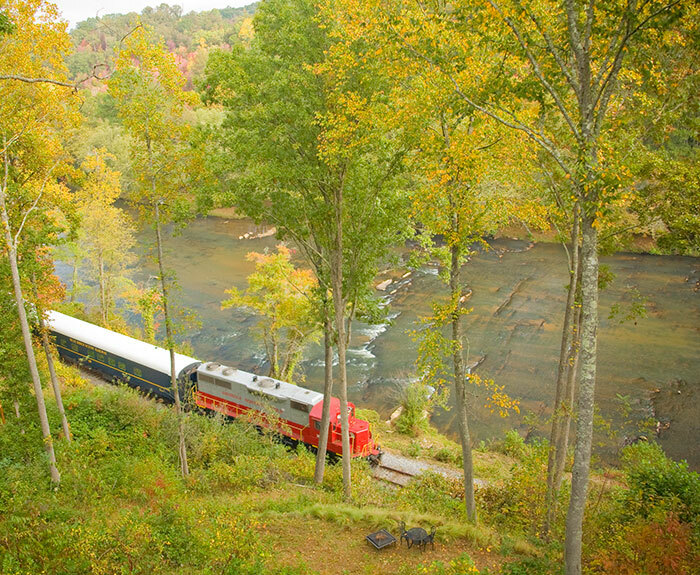 Wave to the passengers on the Blue Ridge Scenic Railway as the train slowly passes by during spring, summer, and autumn...both kids and adults love watching the train pass quietly and slowly by at 10 mph. 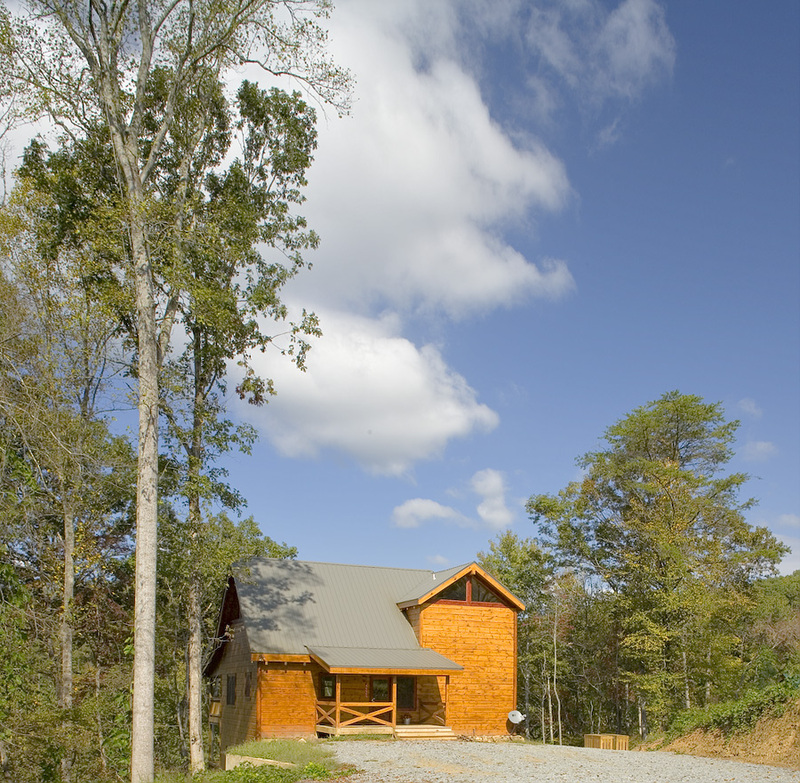 Rolling River Cabin is located just minutes between the quaint towns of Blue Ridge, GA and McCaysville, GA/Copperhill, TN as well as the Ocoee Olympic Whitewater Center, making the area's highlights easily accessible. 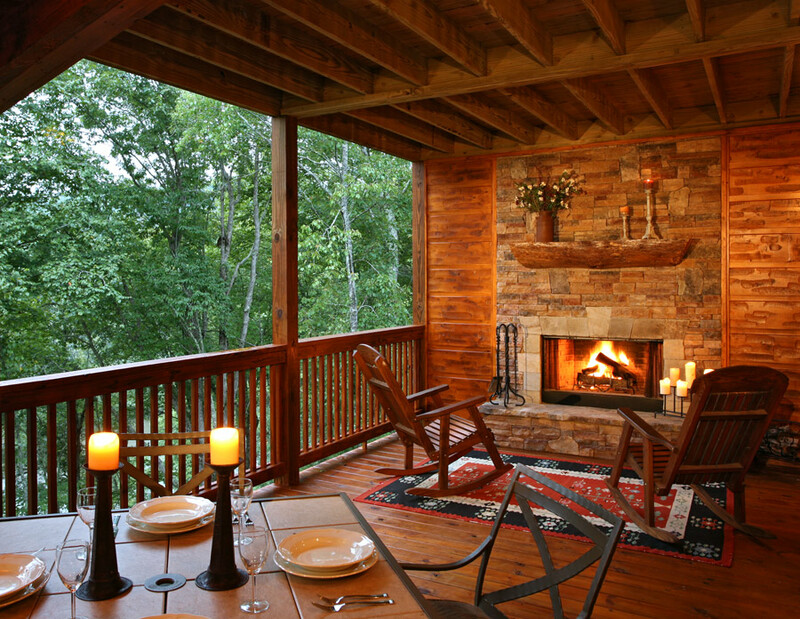 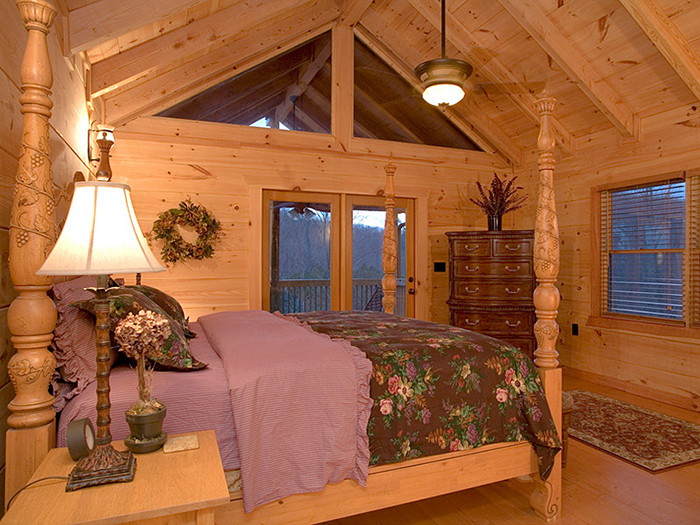 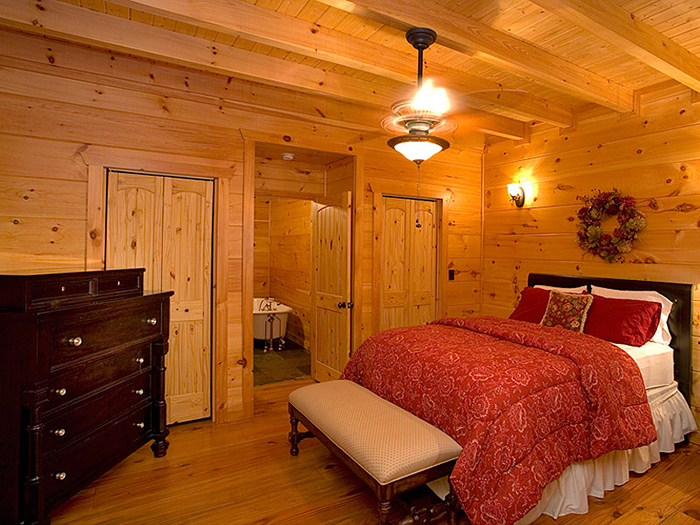 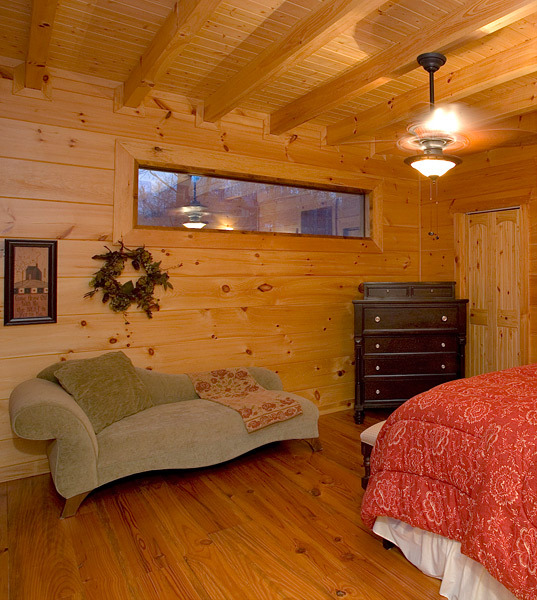 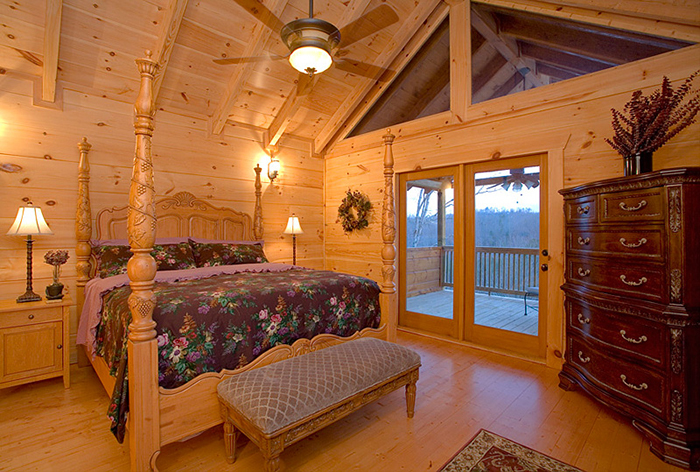 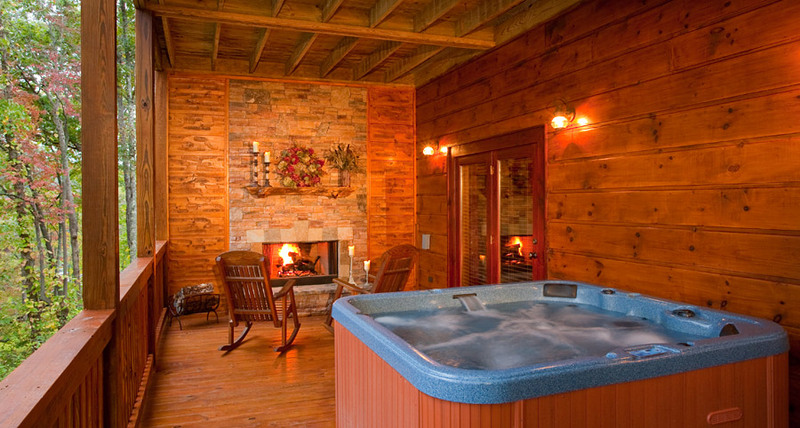 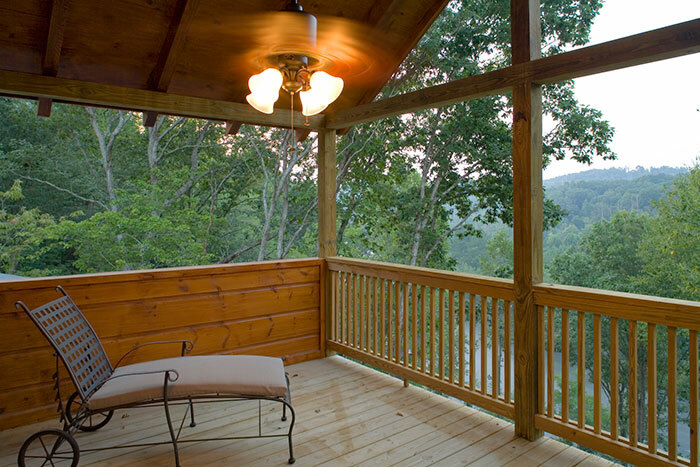 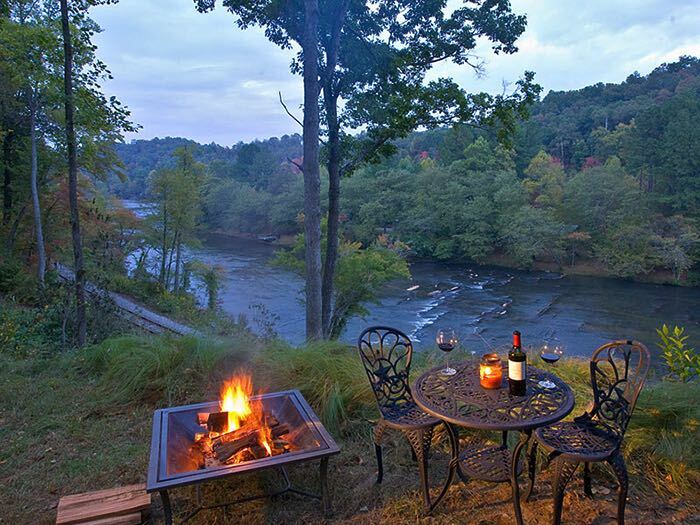 This luxury Toccoa River Cabin Rental's atmosphere exudes romance and luxury in its mountain quaintness - a naturally perfect cabin for a honeymoon or romantic weekend getaway. 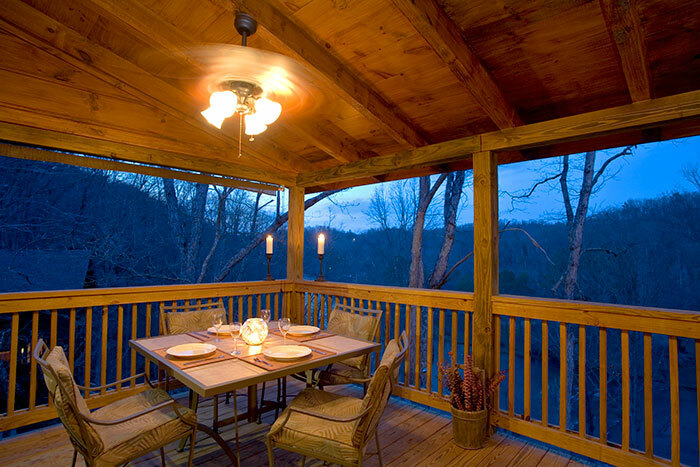 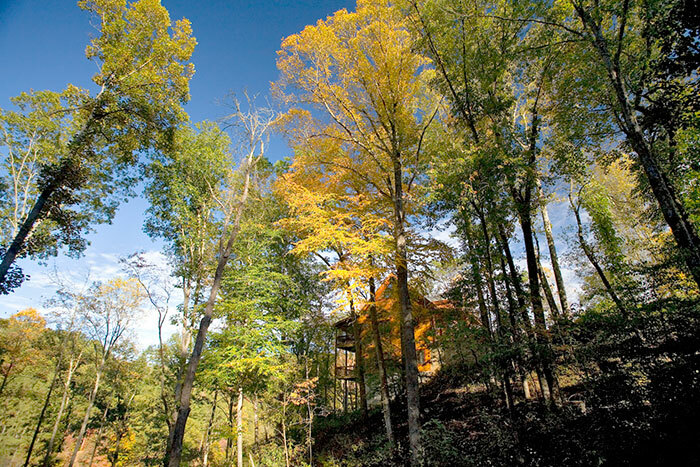 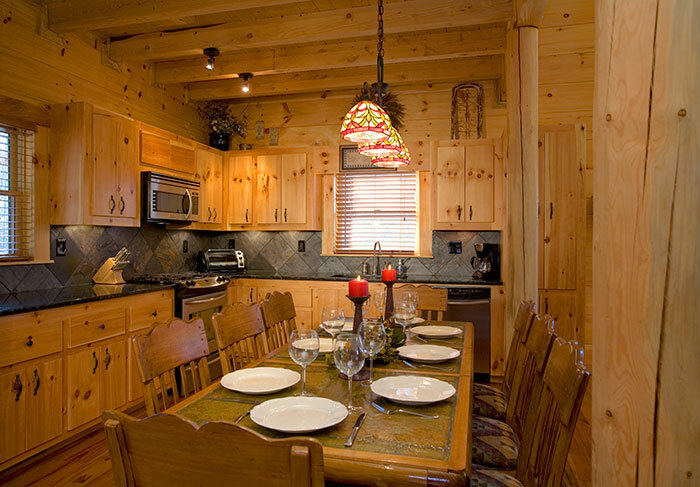 At the same time, Rolling River Cabin lends itself perfectly to families who want to enjoy the great outdoors with the convenience of river frontage, as well as being very centrally located to horseback riding, whitewater rafting, shopping in Blue Ridge, mountain hiking and biking. 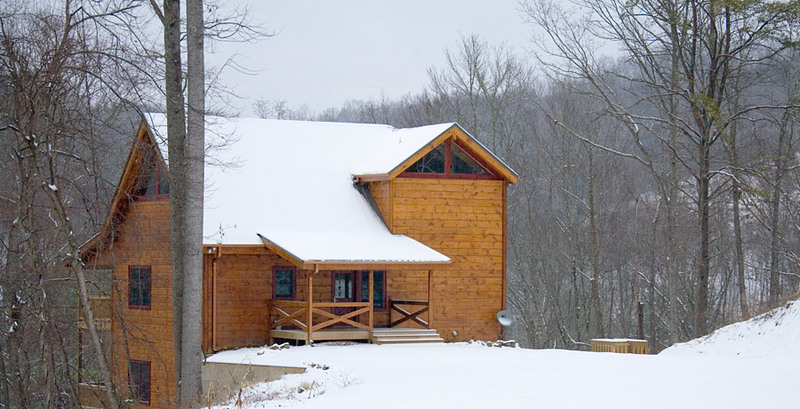 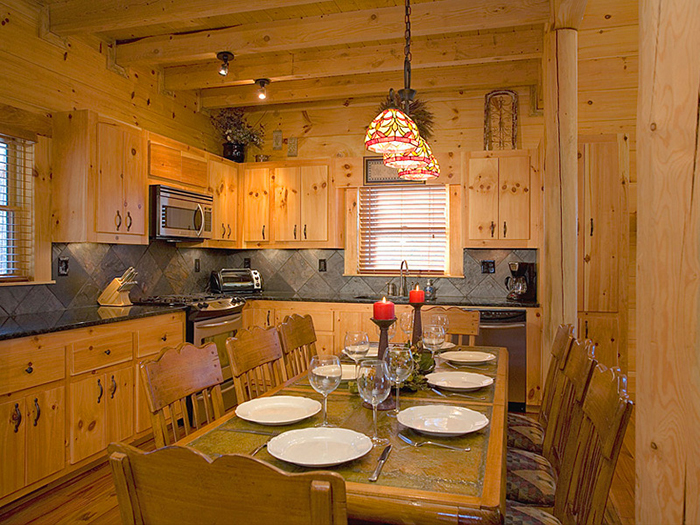 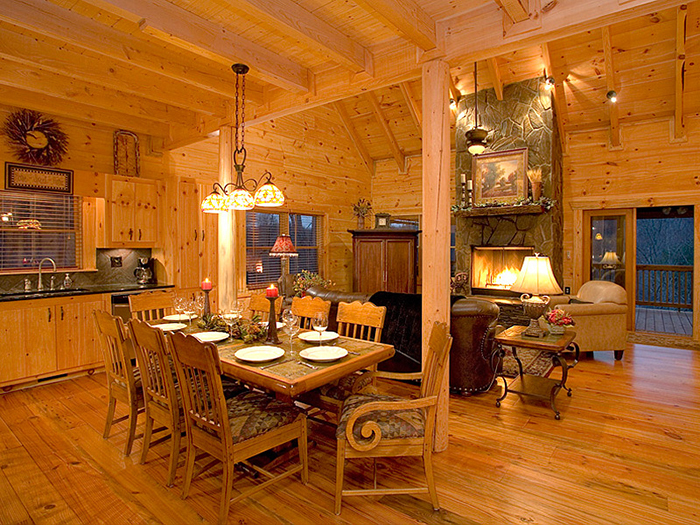 Rolling River Cabin is a luxuriously spacious cabin with 4 bedrooms and a large sleeping loft, 3 baths, 4 wood-burning fireplaces, and living areas on 2 levels, comfortably sleeping up to 10 people. 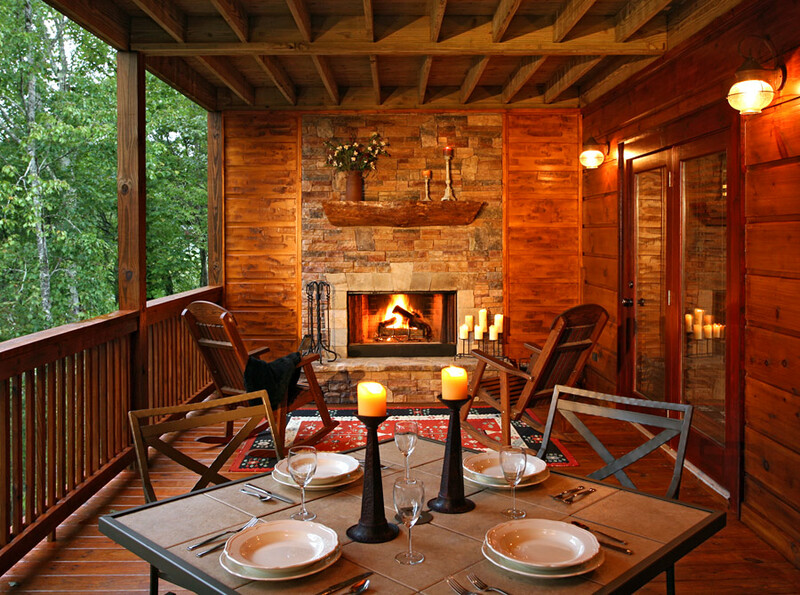 With the living areas opening out to 3 levels of spacious covered porches overlooking the river, each level features its own wood-burning fireplace with seating and hot tub, allowing you to experience the outdoors in supreme luxury. 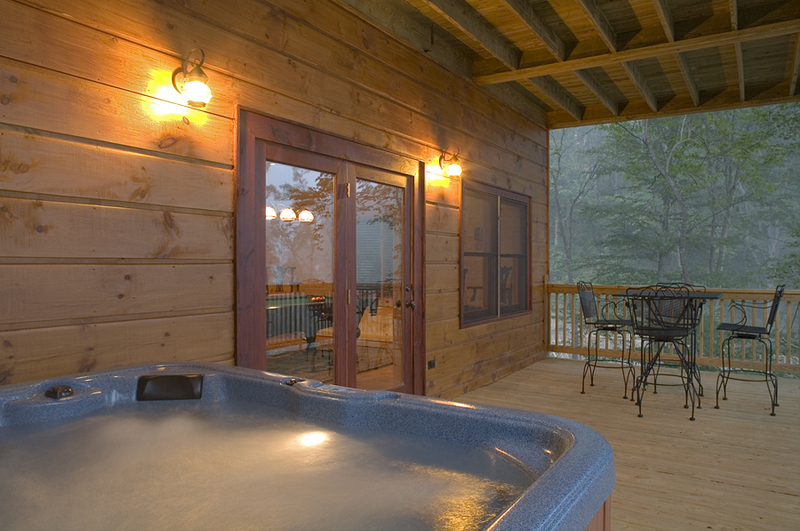 This is a true luxurious North Georgia Mountain getaway with all the luxuries and amenities you dream of. 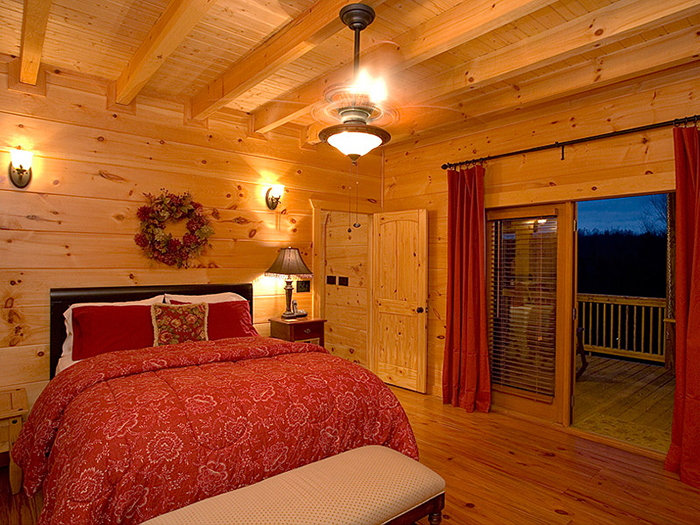 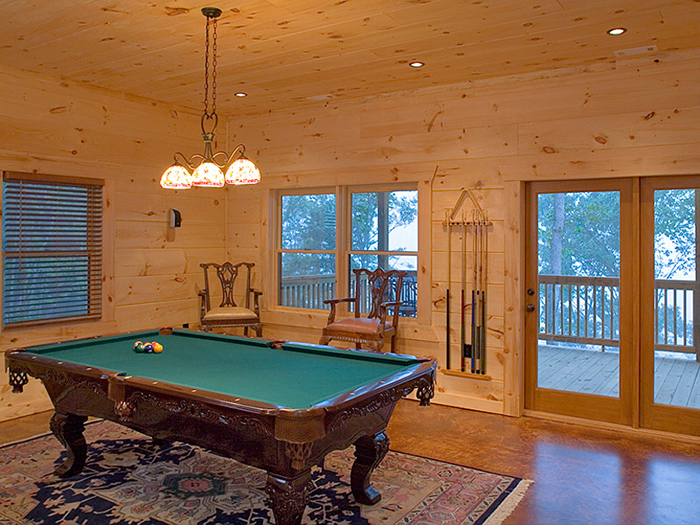 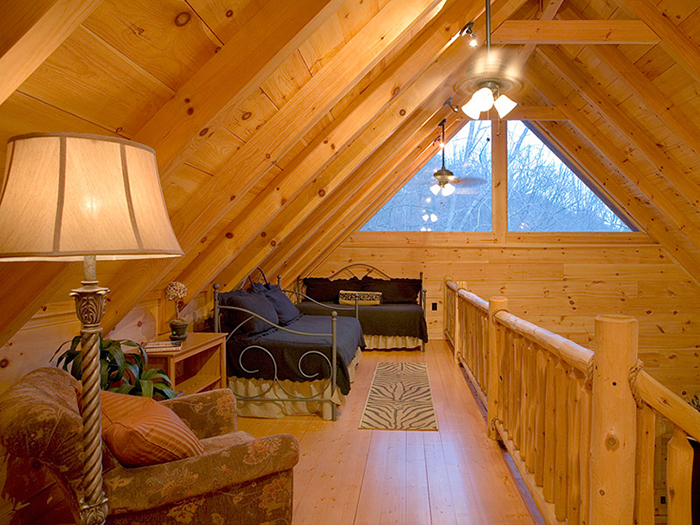 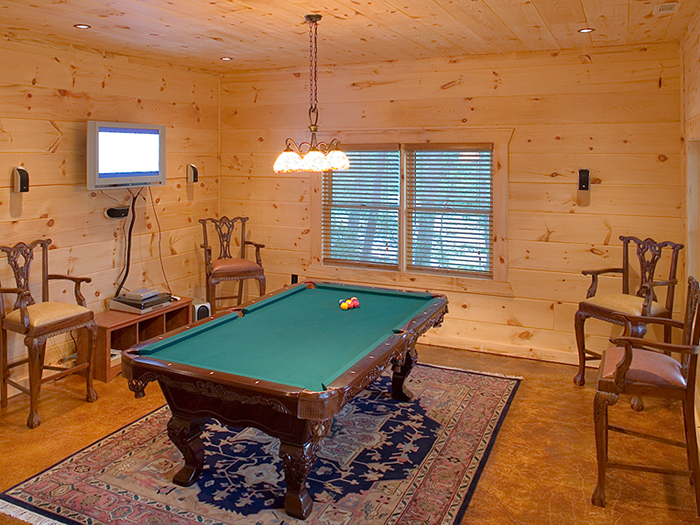 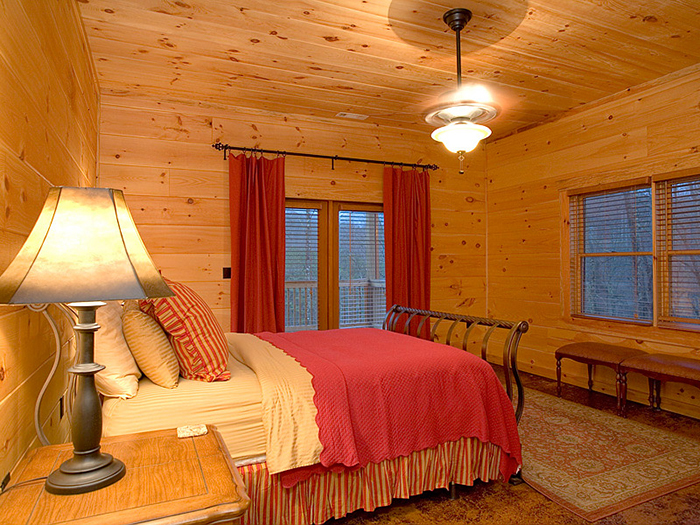 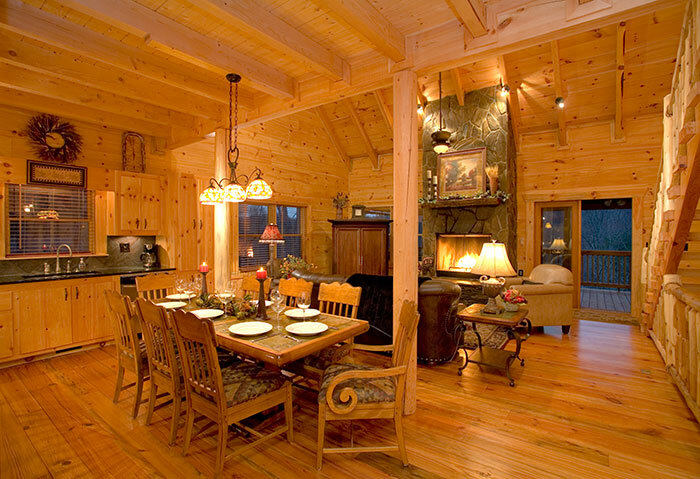 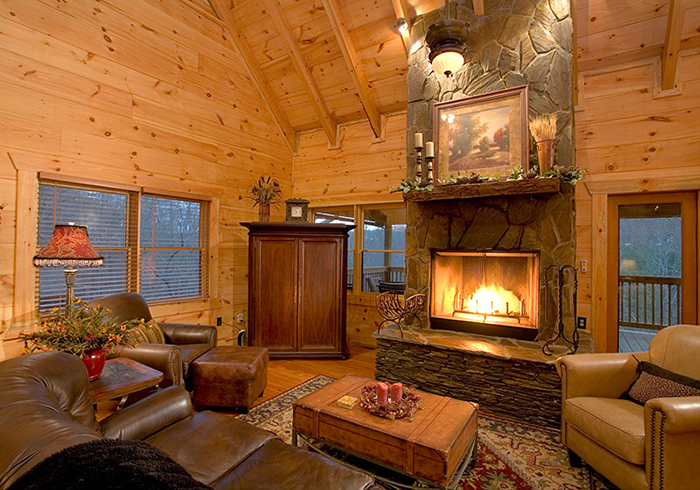 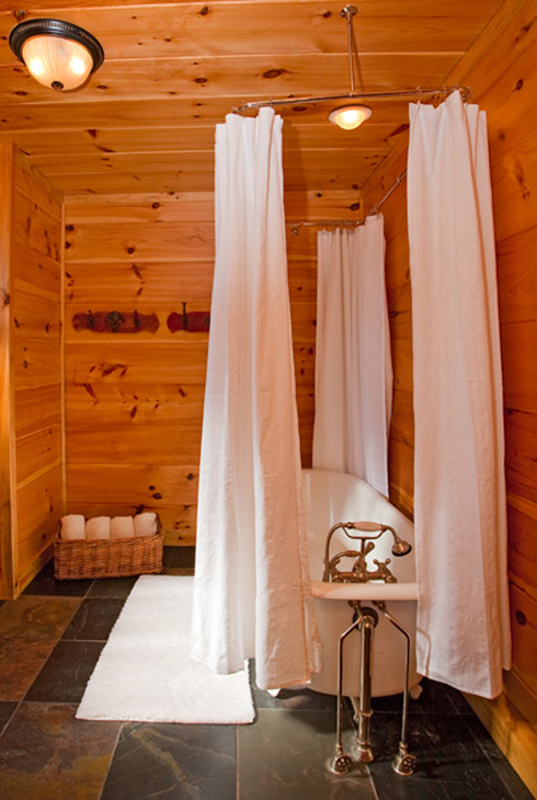 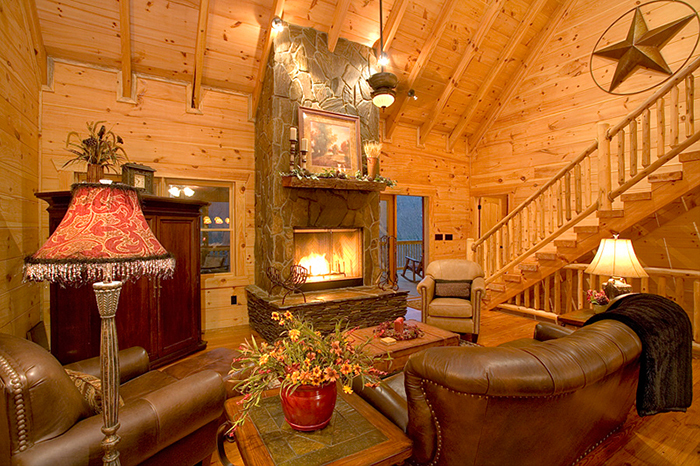 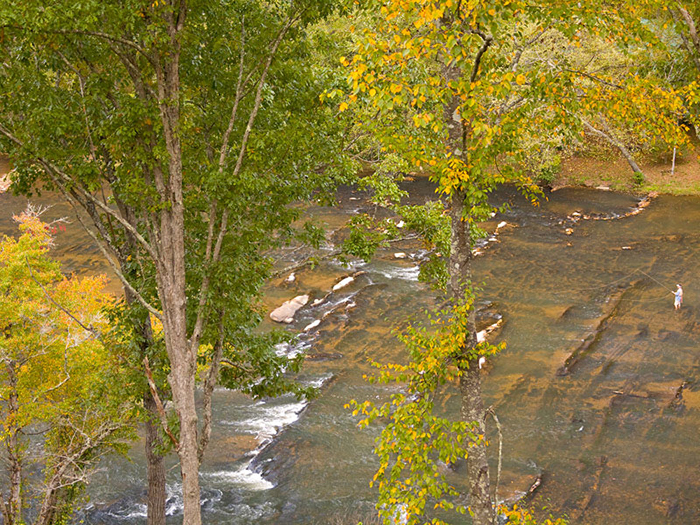 Rolling River Cabin exudes luxury with so many amazing amenities along the Toccoa River. 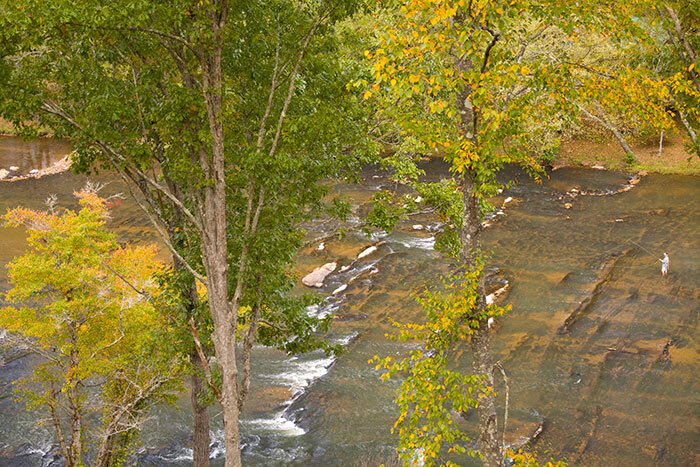 Discover a place where you can unwind, relax, and revel in serene North Georgia Mountain beauty along a pristine river that once was home to the Cherokee Indians. 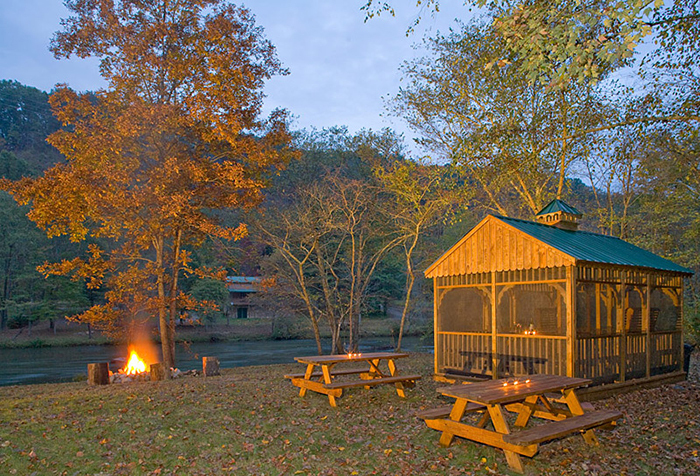 All you have to bring are your personal items and food. 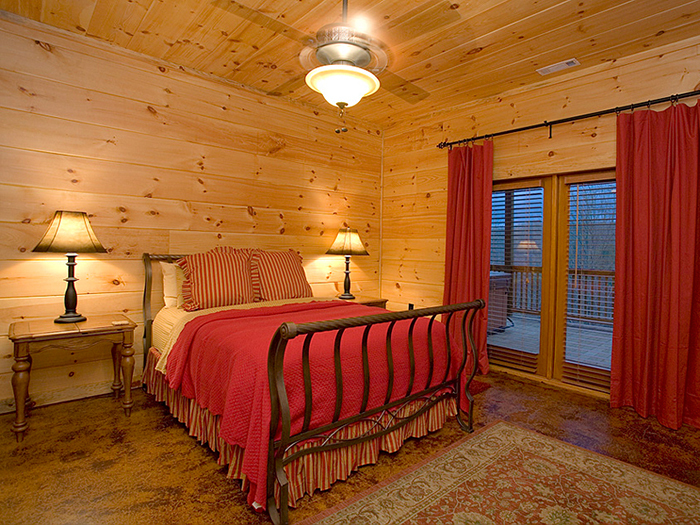 We hope you will make this your home away from home. 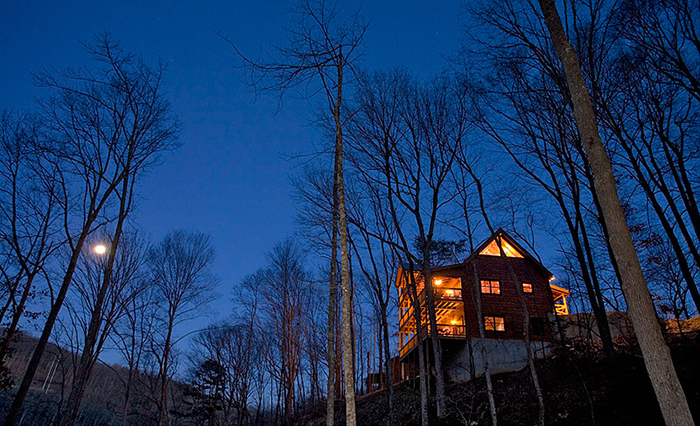 We had a fabulous relaxing weekend in the cabin. 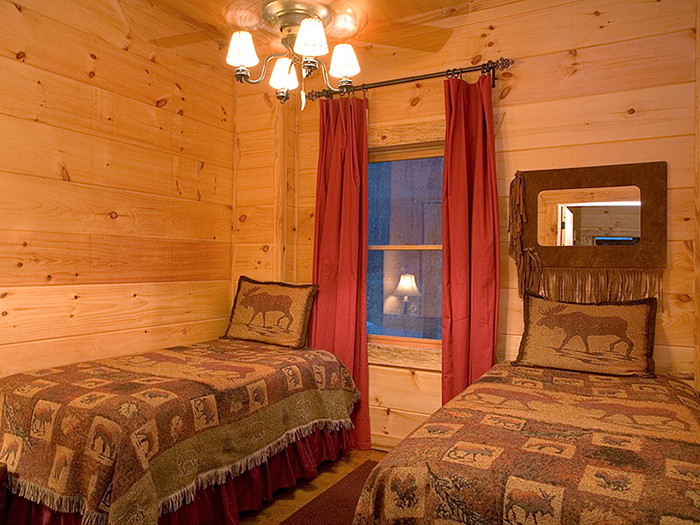 Only left to go to town once - the rest of the time we just enjoyed our time together and the cabin's amenities. 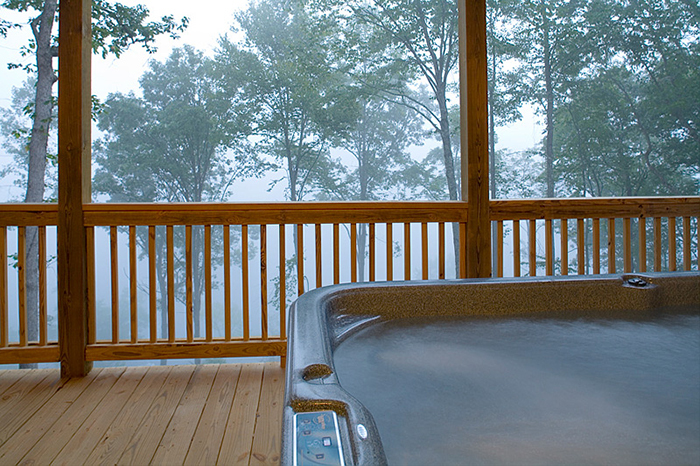 Definitely plan on returning in the fall.